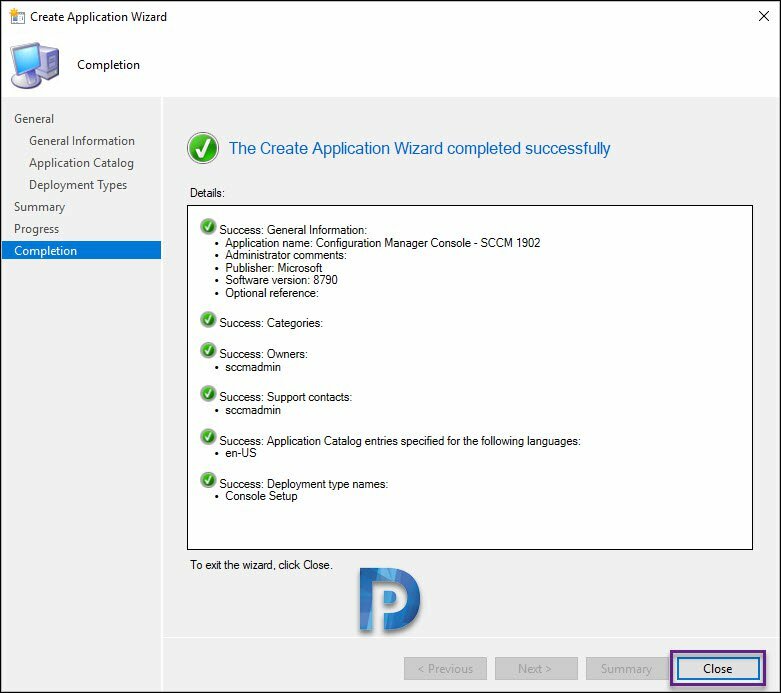 This post covers SCCM console deployment using SCCM. In my previous post I covered some impressive SCCM 1902 console improvements. SCCM 1902 is currently the latest current branch version released by Microsoft. If you haven’t upgraded yet, here is SCCM 1902 upgrade guide. When you upgrade to SCCM 1902, it makes sense to use latest version of Configuration Manager console to connect to the site. 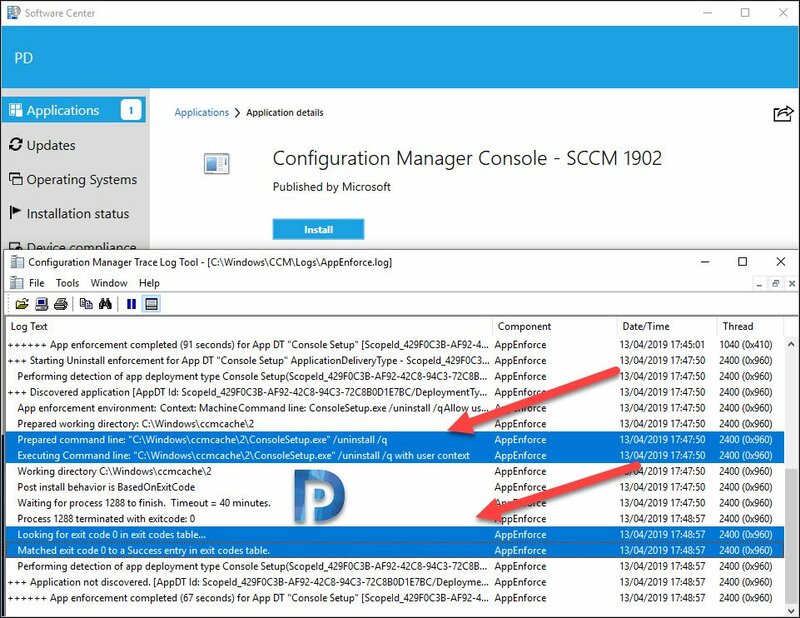 It is always recommended that you use the latest version of Configuration Manager console to connect to SCCM site. For instance, you upgrade your SCCM current branch to version 1902. Now you want your IT team to install the latest version of console. But if you want to deploy SCCM console, where do you get the latest version of SCCM console setup ?. I will cover that in next section. 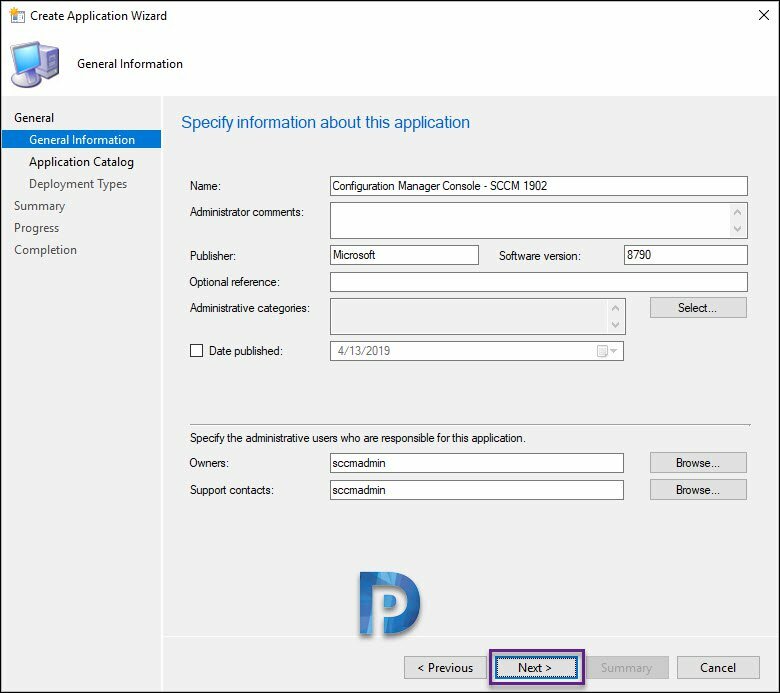 SCCM admins use Configuration Manager console to manage the Configuration Manager environment. Using Configuration Manager console, you can either connect to a central administration site or a primary site. However you cannot connect a Configuration Manager console to a secondary site. While you are installing SCCM, you get the option to install the console on the same server. But what if you want to deploy the SCCM console to multiple computers ?. That can be accomplished using SCCM again. At this point I want to highlight that don’t think of installing the console using the CD.Latest source files. As per Microsoft, it’s an unsupported scenario, and therefore it may cause problems with the console installation. Furthermore you should not run the AdminConsole.msi as that doesn’t install the console correctly. Don’t try that because it doesn’t install the console. 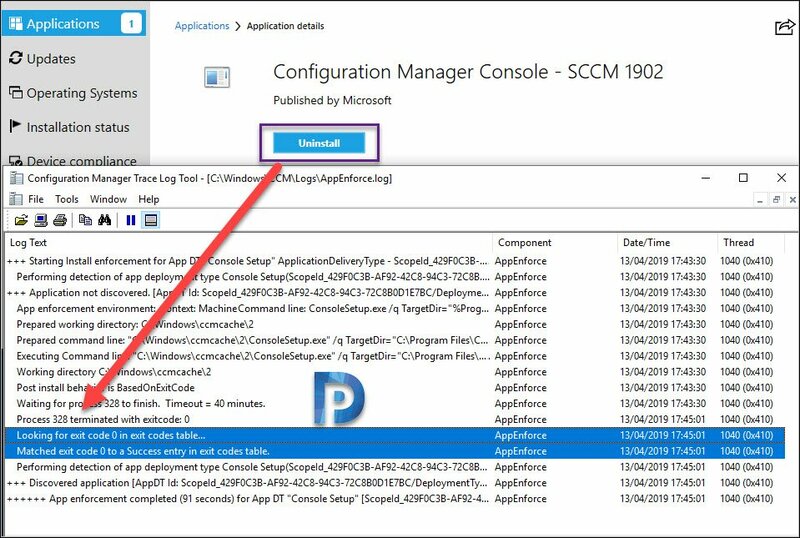 There is a slight change in deploying Configuration Manager console in SCCM 1902. In earlier versions of SCCM, we only used consolesetup.exe to package and deploy the console. 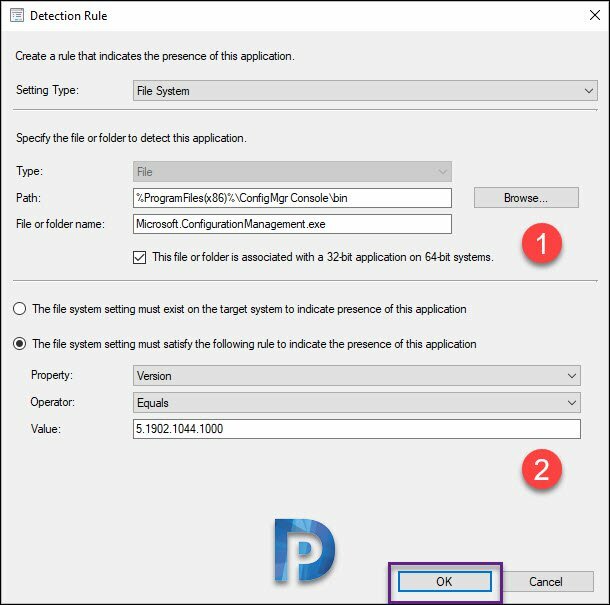 However starting with SCCM version 1902, you need all the below files to package and deploy the console properly. Create a folder within sources folder. Name it as console or anything relevant. Copy all the four files (from Tools folder) into the new folder that you created. We will use this folder as content location while configuring the application. Create a device to which you want to deploy console. Right click Applications and click Create Application. On the create application wizard, choose Manually specify the application information. Specify the information about this application and click Next. 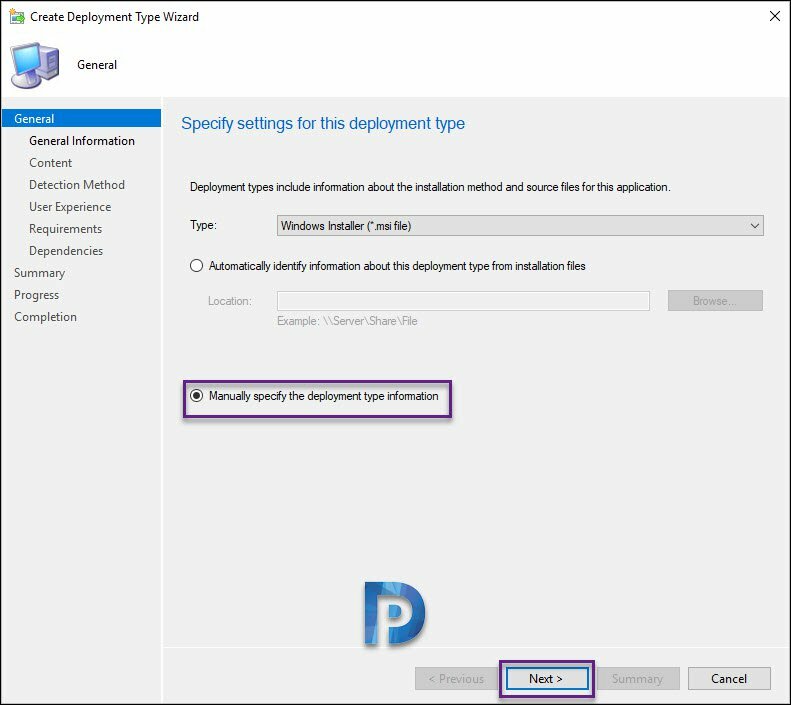 On Deployment Types page, you can configure deployment type. 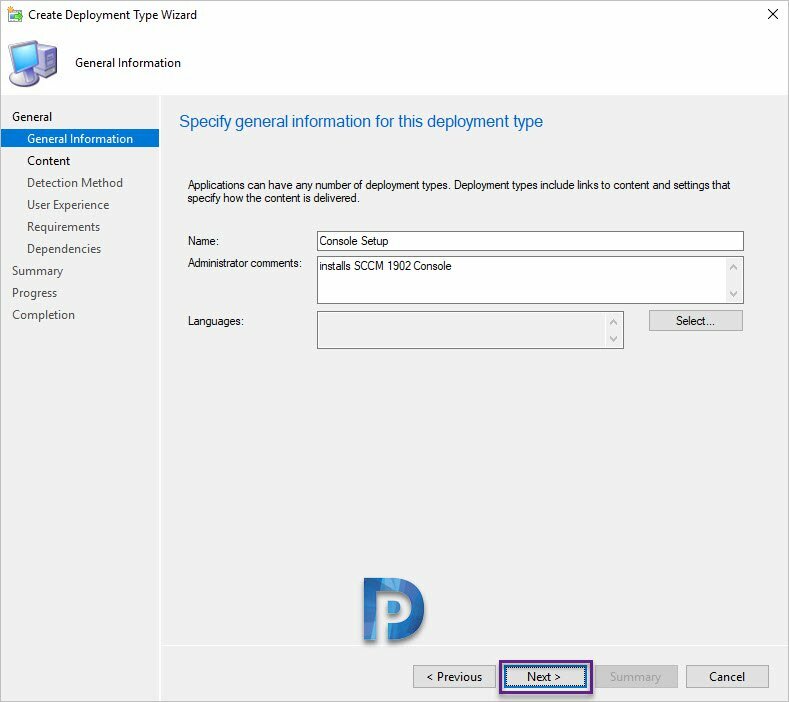 Read this post to know about all the deployment types support by SCCM. You can also add multiple deployment types and define priority for each deployment type. To add a new deployment type, click Add button. Now select Manually specify the deployment type information. Click Next. Specify the application information. Click Next. 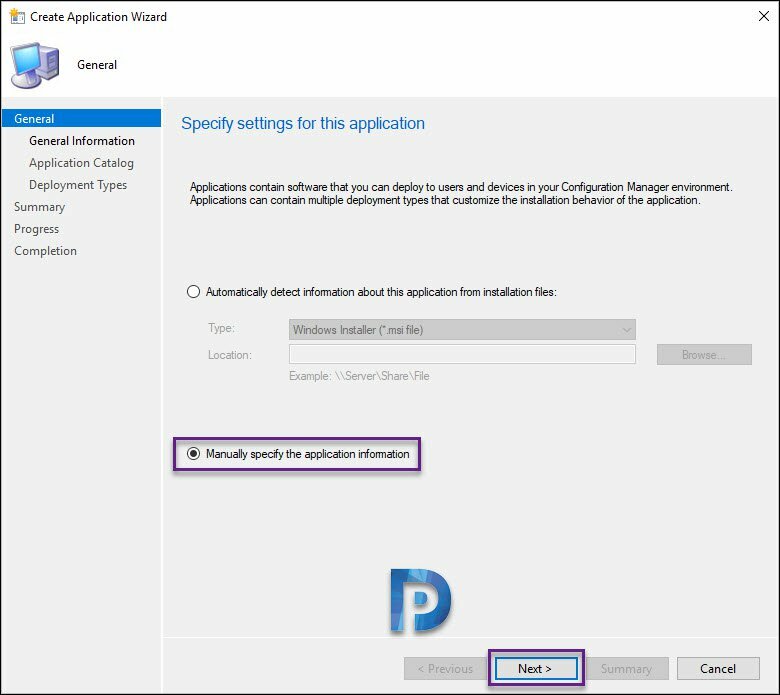 Provide the content location path (folder where the console setup files are located). Most of all, ensure you specify the correct install and uninstall commands. Replace siteserverfqdn with your Primary Site server name. Next we specify detection method. Specify the following under detection rule. Check the box “This file or folder is associated with a 32-bit application on 64-bit systems“. Select “The file system setting must satisfy the following rule to indicate the presence of this application“. Configure the desired settings under User Experience and click Next. 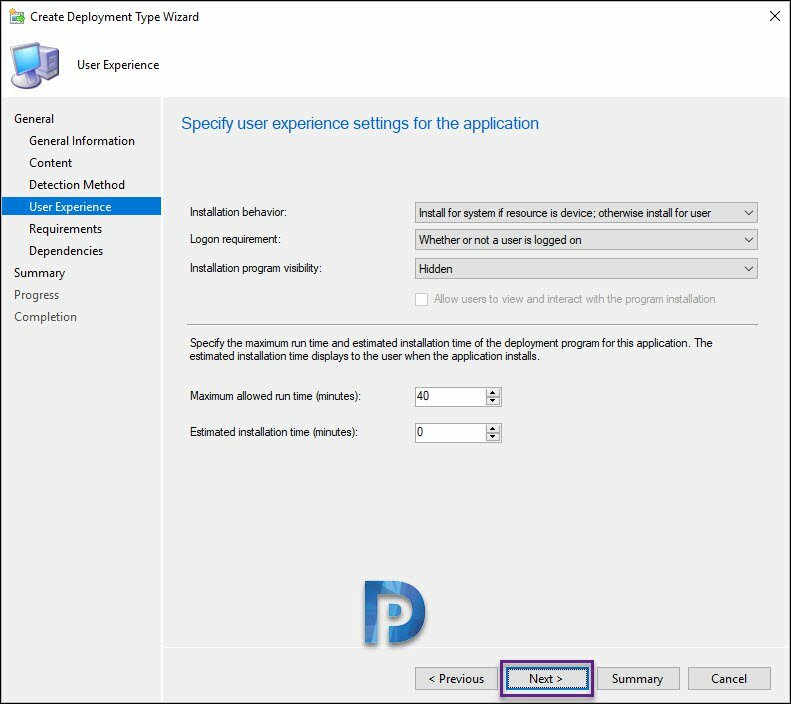 If there is nothing to specify under Requirements, Dependencies – click Next and close the deployment wizard. Finally on Completion page click Close. Distribute the application to the distribution point. 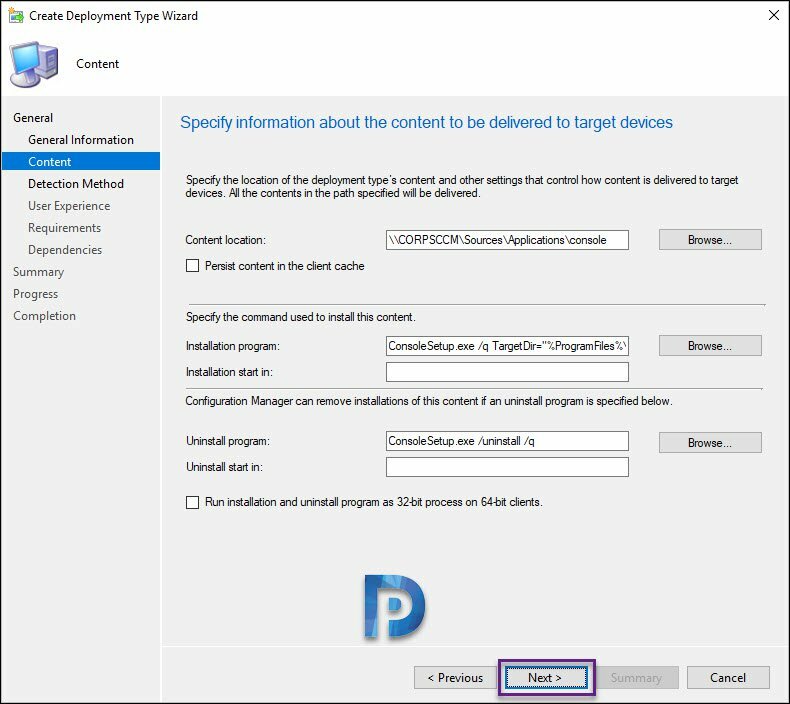 After than you are ready to deploy Configuration Manager console to a device collection. In my lab tests, the installation was successful on multiple Windows 10 computers. Since we specified the default site server in our command line, the console directly connects to the site server upon launching. Testing the SCCM console uninstall also worked fine. If you have any questions related to this post, do write in comments section. I hope this post helps.